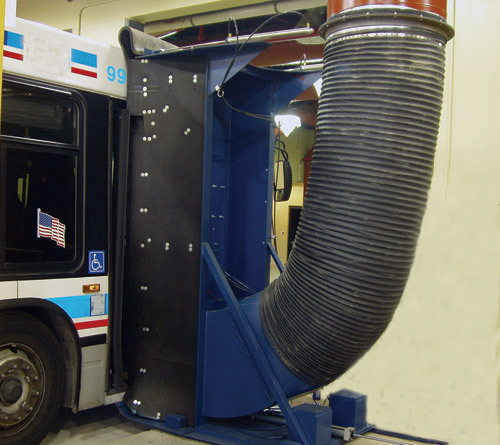 The last Eurovac Solution you were browsing was Bellows Bus Cleaning System (Transit). 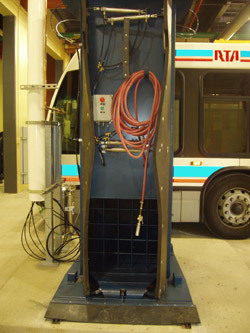 The bus travels through the fueling lane and stops with the front door positioned at the bellows. Both the front and rear doors of the bus are opened. The driver pushes the start button located on the front of the bellows, which then extends into position at the bus door. 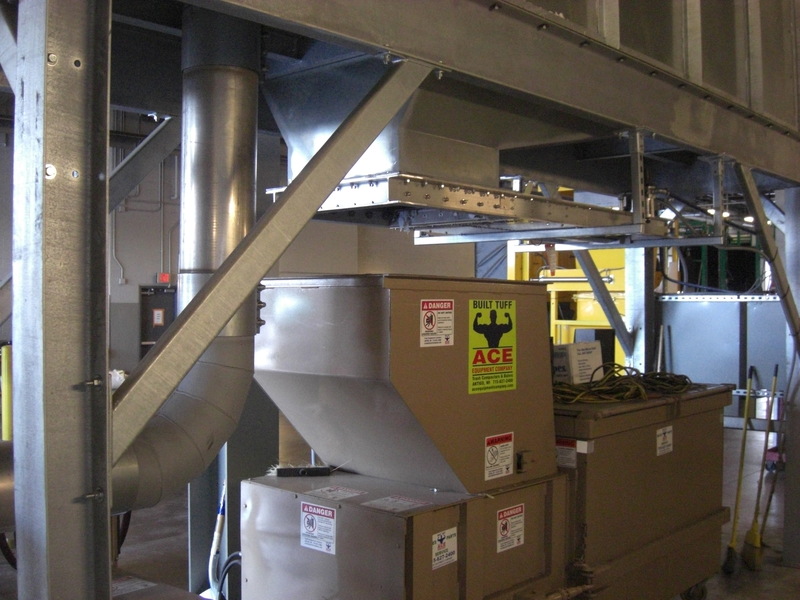 The blower damper is opened, an atomizing mist is activated and a strong airflow is pulled by a 50HP blower through the cyclone, duct, bellows and bus. The driver takes the air gun and hose to the rear of the bus and begins to blow deodorized air onto the floor and seats, getting dust and debris airborne. The dust and debris is then pulled through the bus by the airflow, into the bellows, through the duct and into the cyclone separator. 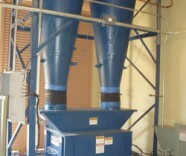 The dust and debris is then separated from the air stream and deposited into a trash recepticle. 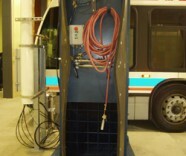 When the bus is clean, the driver pushes the stop button; the bellows retracts and the damper closes. The blower and motor continue to run, but the vacuum stops, reducing the amperage consumed by the motor. Energy is thus conserved between buses. A full range of vehicle interior cleaning products to satisfy virtually every need and budget. 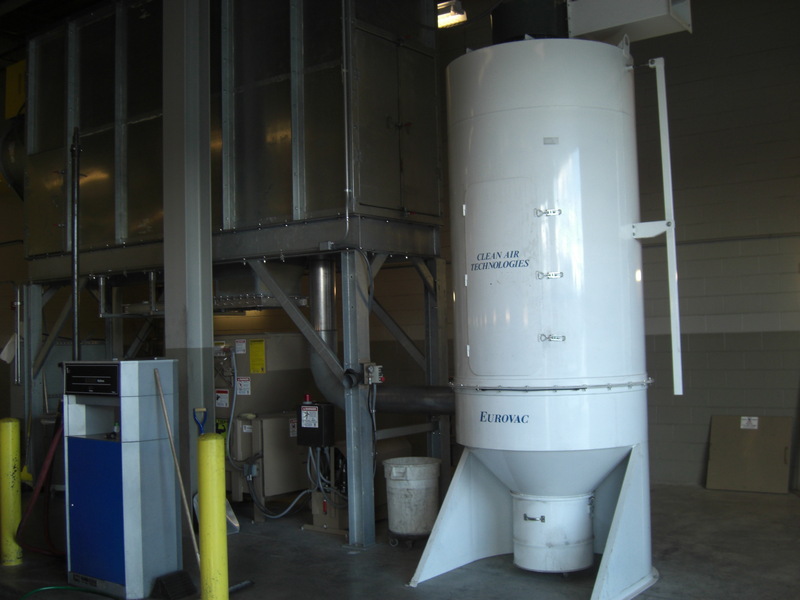 For more than 10 years Eurovac has been a leader in vehicle interior cleaning systems, with over 200 systems installed in North America – including more than 20 large transit systems. 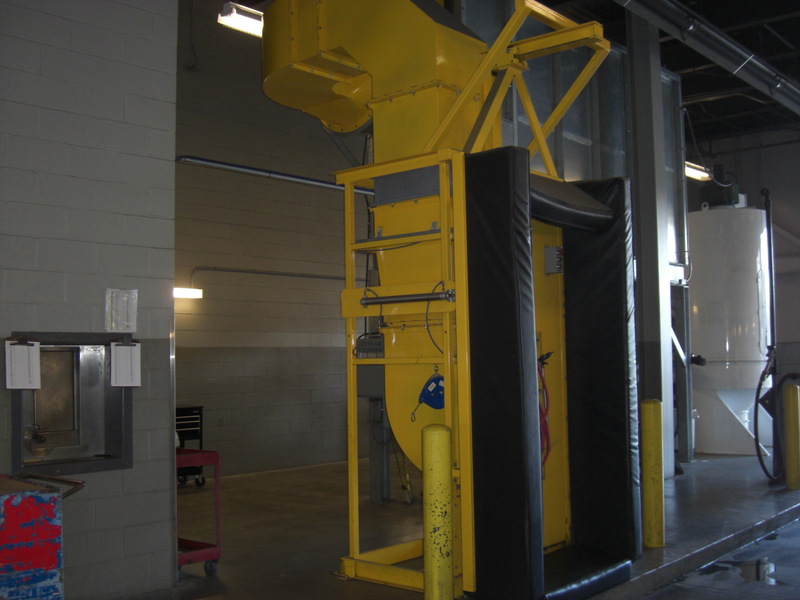 Bellows systems are available for stand-alone operation on each fuel aisle – or the separator and trash recepticle can be located in an area remote from the cleaning area. 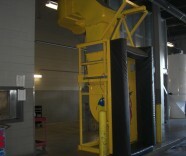 If space is a problem, two-, three- and four-lane systems are available, with one large separator and trash recepticle. A Bellows system can be combined with a Central High Vacuum system for detailing. 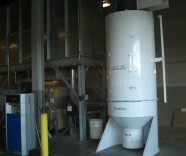 The system can be designed to dump into a dumpster, or a combination compactor/dumpster. 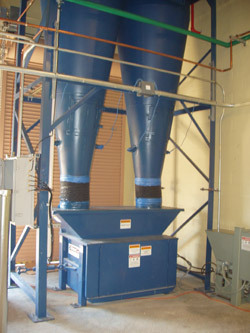 Positive pressure systems are available, whereby debris is sucked through a material handling blower, constructed with 1/2-inch steel blades. The blades chop larger pieces of debris (such as newspapers) into smaller pieces. 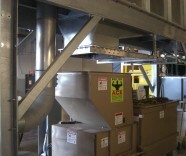 Misting systems, as well as filter systems, are available to return exhausted air to the building.